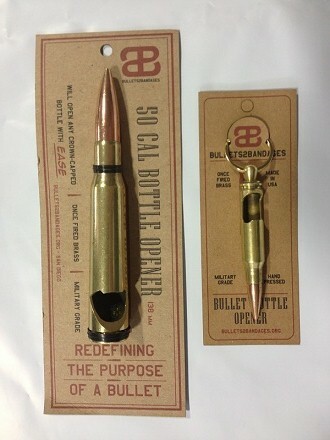 A few years back, Bullets2Bandages, a San Diego-based Veteran-owned small business, hosted a campaign for Six Shooter Shot Glasses, modeled after the cylinder from a Colt revolver. It seems they were successful, because they’re currently selling the item on their Etsy page. The glasses are machined from aircraft-grade aluminum, and comply with U.S. 21 CFR F.D.A. Reg Part 175.300 clause C1/C2/C3/C4, meaning according to the Government they’re safe to drink from. Additionally, they can be custom laser-engraved, for an extra touch of personalization. Bullets2Bandages is a Veteran-owned small business located in San Diego, CA, founded in 2011 by two former Navy Explosive Ordnance Disposal divers. They produce accessories and apparel that aim to honor those who have served the USA. B2B hires veterans, manufactures locally, and donates 15% of profits to veteran charities. Veteran-owned business Bullets2Bandages currently has a crowdfunding campaign running on Indiegogo. 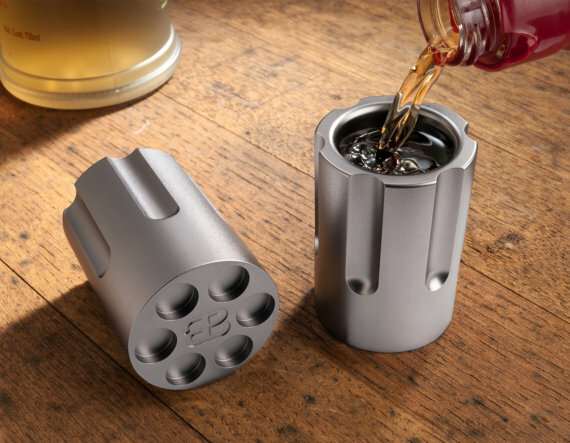 They’re looking for funding to expand their product line with the Six Shooter Shot Glass. The completed glasses will come in two anodized colors: black and sliver. They’re designed as a replica of the cylinder from a Colt Revolver. The glasses are machined from aircraft-grade aluminum, and comply with U.S. 21 CFR F.D.A. Reg Part 175.300 clause C1/C2/C3/C4, meaning according to the Government they’re safe to drink from. 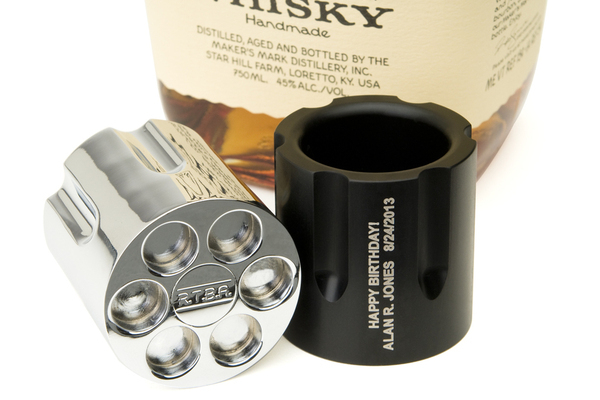 Additionally, they can be custom laser-engraved, for an extra touch of personalization. Bullets to Bandages continues to redefine the bullet with their new Six Shooter Shaving Kit. This article was originally featured on Solider Systems Daily. Bullets2Bandages was founded in 2011 by two former Navy Explosive Ordnance Disposal divers. They produce accessories and apparel that aim to honor those who have served the USA. B2B hires veterans, manufactures locally, and donates 15% of profits to veteran charities.